In this study, we provide further insight into the contribution of the smoothelin-like 1 (SMTNL1) calponin homology (CH)-domain on myosin light chain phosphatase (SMPP-1M) activity and smooth muscle contraction. 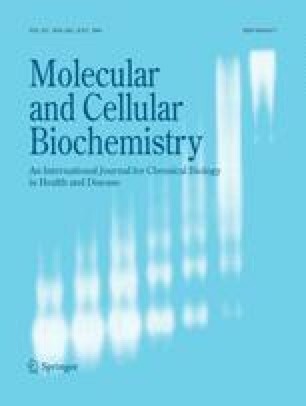 SMTNL1 protein was shown to have inhibitory effects on SMPP-1M activity but not on myosin light chain kinase (MLCK) activity. Treatment of β-escin permeabilized rabbit, ileal smooth muscle with SMTNL1 had no effect on the time required to reach half-maximal force (t1/2) during stimulation with pCa6.3 solution. The addition of recombinant SMTNL1 protein to permeabilized, smooth muscle strips caused a significant decrease in contractile force. While the calponin homology (CH)-domain was essential for maximal SMTNL1-associated relaxation, it alone did not cause significant changes in force. SMTNL1 was poorly dephosphorylated by PP-1C in the presence of the myosin targeting subunit (MYPT1), suggesting that phosphorylated SMTNL1 does not possess “substrate trapping” properties. Moreover, while full-length SMTNL1 could suppress SMPP-1M activity toward LC20 in vitro, truncated SMTNL1 lacking the CH-domain was ineffective. In summary, our findings suggest an important role for the CH-domain in mediating the effects of SMTNL1 on smooth muscle contraction. This work was supported by research grants from the Heart and Stroke Foundation of Canada (HSFC) to J.A.M. and National Institutes of Health (DK065954-02) to T.A.J.H. M.A.B. was a recipient of Fellowships from the Alberta Heritage Foundation for Medical Research (AHFMR) and HSFC. J.A.M. is recipient of a Canada Research Chair (Tier II) in Smooth Muscle Pathophysiology and a Scholarship from HSFC.